When people ask why we started the site we felt there was a void where too many things were geared towards the preservation of horror classics. Horror fans are the richest fans at heart because there are countless things we can turn to to explain our love and passion for the macabre. Here though, we are all about progression. What’s next in our world? Who are the ones to keep and eye out for and why. But when we are approached about bringing awareness to a classic landmark in horror that needs our help we can’t wait to place out stamp out there. From the classic Alfred Hitchcock film to the popular BATES MOTEL series on A&E PSYCHO is a timeless classic that has reached more than just the avid horror fan. The Californian Gothic manor from the house has been one of the few treasures that people can still see today. Well now the house is in a bit of trouble and needs upgrades so the legacy can live on to a new generation of fans. So some guys on Facebook contacted us about spreading the word on helping with the rennovations and even started a pettion on Change.org to get Universal Studios invloved. This is really a monumental effort and we are happy to spread the news to all of you the readers. Here is the official release along with ways on how you can help out! Over the years the house has made hundreds of appearances in Movies, TV Shows, Documentaries, Music Videos and even Cartoons! So much so that the “Californian Gothic” house itself is now AS famous as the movie it featured in and has become an iconic piece of movie history. Throughout the years the house has had several upgrades… It went from being just a two sided facade to three, then four and finally it was given a roof to top it off. It has also gone through at least two renovations and twice it has moved location completly! Sadly however, it has been over a decade since the hollywood legend last had a nip n’ tuck or a fresh slap of powder and paint and the old girl is starting to look her age… Visitors to the house today will see evidence of warped, rotting timber… Gaping holes in the woodwork with large sections of missing planks of wood… Decorative woodwork damaged and some sections missing completly from around the porch… Shingles rotten, damaged and missing from the roof… All in all it’s not a pretty sight and if something is not done soon to help stop the decay, we feel it may pass a critical point of no return! We urge UNIVERSAL STUDIOS HOLLYWOOD to listen to our pleas to undertake a complete and total restoration of the building and in the process preserve an iconic piece of Hollywood history. 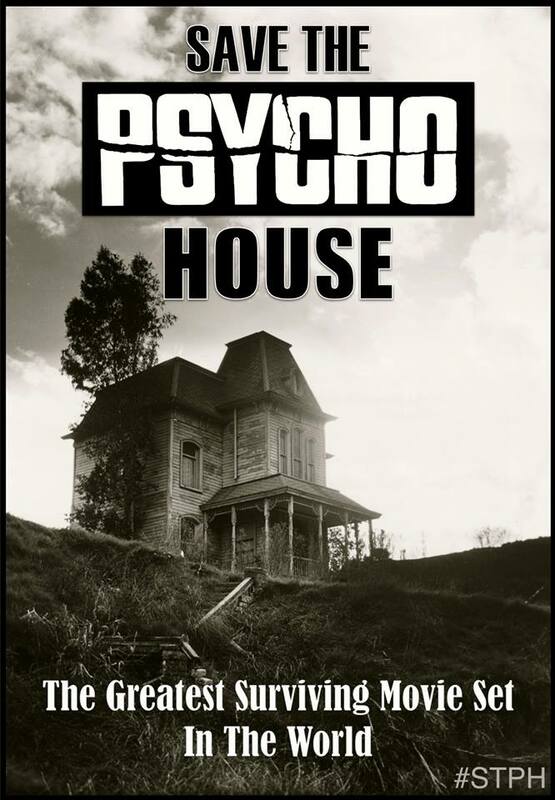 Save the greatest surviving movie set in the world… SAVE THE PSYCHO HOUSE! Make sure you guys give them a like on FB and anything you can do to help is amazing. Go sign that petition and let’s keep this timeless treasure as beautiful as it was the first time you set your eyes on PSYCHO!